Sarah is a beautiful and successful dance teacher. She is deaf, but this does not stop her from living life to its fullest. While visiting the Roberts family, David finds himself entranced with this very special lady and ends up defending her honor several times. He finds Sarah has gone through many trials as she teaches him the importance of not dwelling on the past and how to love life. Meanwhile, David learns about the legend of the Bear Lake Monster and wonders why the community believes in such a thing. He is determined to prove there is no Bear Lake Monster. The legend of Bear Lake. Jenny Roberts has a dream to escape her small hometown to become a writer. She develops a friendship with a young farmer, who is new to the area and has secretly fallen in love with her. After she realizes her friend means more to her than she thought, she must now choose between a career and romance. The only thing standing in her way is an unpleasant memory that has haunted her since childhood. She must learn to forgive before she can choose which dream to follow. Meanwhile, a legendary 10-foot grizzly is seen in the area, and its boldness has frightened the community. When Elena Yeates settles into a small western town as the newest doctor, a few problems arise. The town is not ready for a female doctor, let alone one so strong and independent. She must struggle against the prejudice to establish her new practice. As she fights to prove herself, the town's most eligible bachelor finds it a challenge to see if he can win her heart. Melinda Gamble wants to make a difference in the world. Without hesitation, she accepts a job as a schoolteacher in the small town of Paris, Idaho. She has many challenges such as trying to help a rebellious student, coming face-to-face with a notorious bank robber, a vicious grizzly bear, and finding herself in a terrible blizzard that leaves her clinging to her life. No matter the trial that comes her way, she is ready to fight for what she believes in. But it’s a rugged rancher who challenges Melinda with the one thing for which she was least prepared - love. 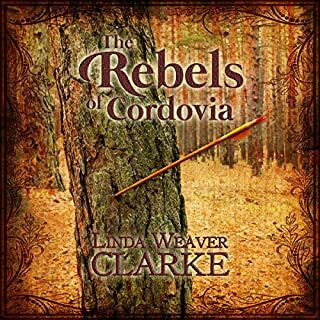 Set in the late 1700s, Robin’s Rebels realize they must fight against the tyranny of a wicked king and help the people survive this oppression. In this battle for freedom, a tender love story begins to blossom. Daniel, a rogue and a leader of the Freemen, doesn’t realize that the sweet, feminine woman he has met and is falling for happens to be the leader of Robin’s Rebels. Realizing the importance of uniting all the rebel groups, Daniel tries to recruit Robin’s Rebels, but they refuse. Now, he has to find a way to convince them. Jennie Arnsby wants nothing more than to turn around and go home. 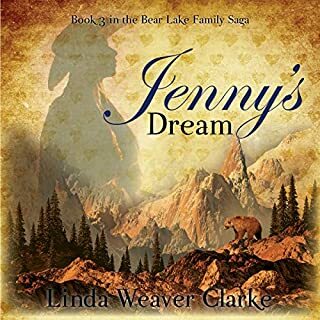 Her family is on their way to Deadwood, South Dakota, when Aiden finds his way to their small wagon train. His teasing and banter leave her wanting to toss him out the back and in the dust. When they are separated outside the city, she is left wondering if she'll ever see him again. Aiden Bradly wants to find his gold and return home. Nothing more. He can't afford to get tangled with a woman. He's doing just that until he meets the feisty Jennie. 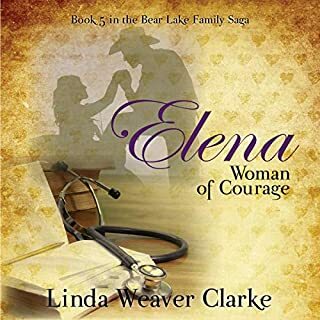 In this inspirational historical romance, Edith is a nurse and has gone home to assist her cousin who is “with child.” Edith has wonderful qualities but never gives a man a second chance because her expectations are so high. However, all that changes when a mysterious stranger starts writing to her. For the first time, she gets to know a man's inner soul before making any harsh judgments. Whoever he is, this man is a mystery and the best thing that has ever happened to her. The question that puzzles her is whether or not he's as wonderful in person as he is in his letters. Shadows in My Room & What's That Noise? Seriously, if you are a teacher and need a book for kids to read to do vocab, for sure this book is one you want. I would say 8th grade and higher. If you are in need of a book that reiterates what and who a good human should act like, get this book. If you want a good wholesome story about believing in your Faith, get this book. I am not a big Christian reader, however, I love listening to Linda's book. The author notes in this book blew me away! I love the word use in this book, throw an eight letter word out there, and Linda breaks it down so anyone can understand the meaning of said word. The characters are relatable with strong family ties. I would say this book is about simpler times, but it wasn't simpler back then. More proper and polite with the best of intentions. If you want you children to learn proper mannerisms, definitely let them read this book and then talk about it. Make a home comprehension test, I would. Great Book! 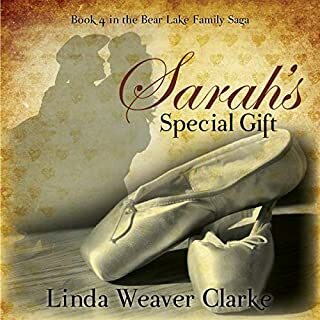 This is book two in the Bear Lake Family Saga and introduces us to Edith, a talented nurse who returns home to Paris Idaho to nurse her cousin Melinda. Edith judges men based on first appearances, which leads her to dismiss most of the men she's introduced to. She faces one matchmaking attempt after another when she returns home, but her new suitors don't interest her. When she receives a letter from a mysterious man, she decides to get to know the writer before judging him. This book can be read as a standalone, but is best enjoyed after reading the first. It catches up with Melinda, Gilbert, and Jenny from the first book, and little Jenny is all grown up and ready to meet men of her own! I really enjoyed the banter between the characters, and how the author used music to bring the characters together. She wrote in a simple and straightforward manner, and placed an emphasis on family values. The narrator did a great job with the different characters and even singing parts, which brought something special to the story. She has a voice that's easy to listen to. I received a copy of the audiobook, and I'm voluntarily leaving a review. Great start to the saga.. I liked this book because it showed strong smart women. It is light and easy listening with a little mystery involved. The narrator, Carolyn Kashner did a great job bringing the characters to life. Especially the women. Dialogue is great too. There are a lot of things I enjoyed about the story. I found it refreshing that Edith and Mystery Man (I don't want to spoil his identity) got to know each other and established a genuine friendship as pen pals first. I think the author was really able to grow their relationship because of the anonymity Mystery Man was able to maintain. It's relatively evident to the listener who Mystery Man is, but there is just enough mystery to leave doubt until the end. While some parts of the story were easily anticipated, I was still uncertain that Edith would accept him in the end. I also appreciated that Edith is able to grow and open up despite her fear of getting hurt as well as her determination to stay true to what she wants. I loved the excitement of finding out what the next letter would say and the sweetness of new/budding love. Plus, you'll never guess who played matchmaker; that ends up being a real surprise. I would have really liked to see Edith and her Mystery Man interact 'in person' more after she discovered his real identity. It would have been nice to see more of what is next for them. One question I have that wasn't wrapped up: is Edith still going to leave the little town after the birth as she intended now that she knows who he is? Also, the narrator was excellent! She even sang a little once. Overall, a quick sweet romance in a charming small town that made me smile. A good fall read. Edith, a nurse, head back home to help a pregnant cousin. She's looking for a man, but not just ANY man. She has every high expectations, and it'll take something special for her to take notice. She starts corresponding with an "admirer," and she finds this interesting. And intriguing. Is he for real? Is this too good to be true? Very nice historical romance, very much enjoyed it and loved the writing, and the narration. Beautifully done, and I'm definitely a fan :) Hope to listen to more in this series! I loved the story of the letters and what it can show us about first impressions, and how it's best to look deeper into someone's soul. Too often people are swayed by the "instant connection,' mistaking it for love instead of physical attraction. I also really liked the bond Melinda and Edith shared. There are numerous little life-lessons in this story, which would make this a great read for young people. I want to read more saga about this family. Linda Weaver Clarke writes a very heartwarming story. I enjoyed the historical aspect of this book, and the letters. The book is part of a series and is a standalone listen. I loved how Edith's eyes were opened to see below the skin in this story. So often people are judged by their physical appearance and not their inner beauty. Carolyn Kashner did a great performance with the characters and emotions. I requested this review copy audiobook and have voluntarily written this review. I would listen to more books by this author and narrator. 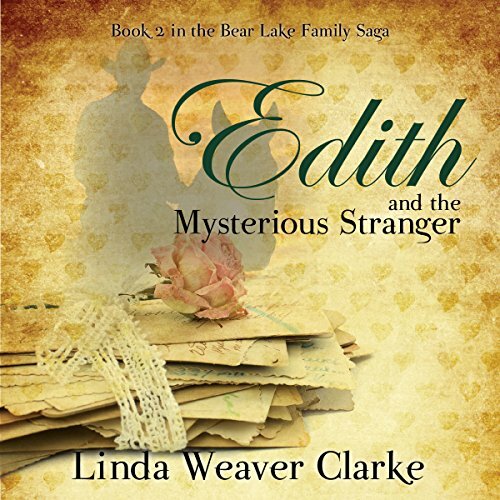 Edith and the Mysterious Stranger is an excellent clean western romance set in in 1904. 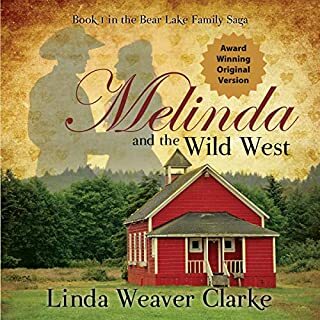 It is the second story in the Family Saga in Bear Lake, Idaho by Linda Weaver Clarke. Picking up about 7 years after the first story ends, we find Melinda who is 4 months pregnant with her second child and who is experiencing severe complications carrying the child. Melinda’s cousin Edith who is a nurse comes back to Idaho to help Melinda with her troubled pregnancy. With Edith home for six months, Melinda, her rancher husband Gilbert, and Edith’s mother decide to play match maker. As an educated woman the natural choice appears to be the new school teacher, but he seems to insult Edith and women in general at almost every turn. There is also a local farmer and sometimes ranch-hand, Joseph, whose quiet reserve and steadfastness grows on Edith. Then one day Edith receives a letter from a mysterious stranger and she begins a six-month “courtship” through these letters. My favorite part of the story is how Edith falls in love slowly through letters. The stranger makes Edith question her actions toward men and how she’s never really given men much of a chance. Then, on Halloween the mysterious stranger makes a quick appearance and he kisses her senseless. I was thinking about that scene for the rest of the book! Carolyn Kashner narrated this audiobook and she did a fantastic job. She varied her voices for both male and female characters and inflected just the right amount of emotion in all the right places. 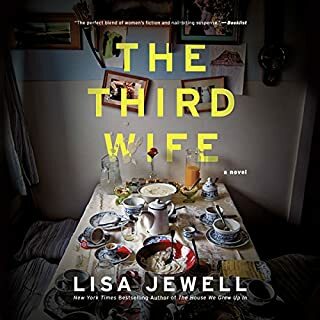 I really enjoyed listening to this story and look forward to other audiobooks in this series! This is the 2nd book in the Bear Lake Family Saga but it stands alone. The book is a historical romance and contains no graphic language or violence. I was gifted a copy in exchange for an honest review. Edith is a young nurse who has a list of traits which the perfect husband must possess. All men she meets who are missing any of the items on the list are immediately dismissed without consideration, which so far has been every single eligible man she meets. She begins to receive letters from a secret admirer who wants to correspond with her so they could know each other's mind without outer prejudice. Who are the letters from? I really enjoyed and recommend this book. The characters were believable and human. The story was intriguing and very enjoyable. I now want to listen to all the books in the series!